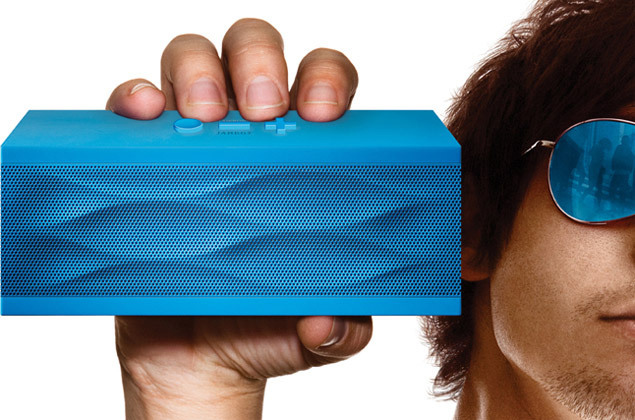 Jawbone Jambox is a portable speaker and speakerphone that comes with Bluetooth audio and hands-free capability. It has stereo drivers for a peak volume of 85 decibels, a 3.5mm input jack for non-Bluetooth audio sources, an integrated rechargeable Lithium-ion battery, and three operation buttons. The Jawbone Jambox is priced at $200. Video after the jump.